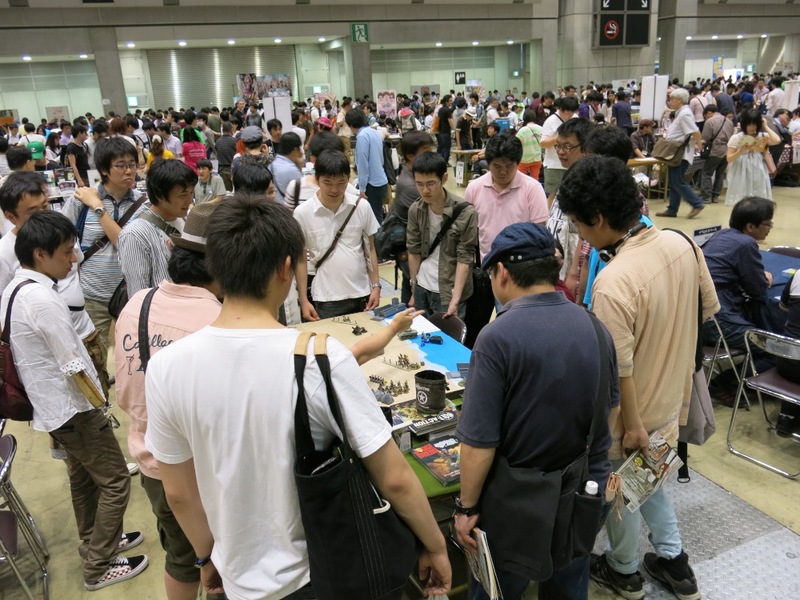 Game Market is the largest tabletop gaming show in Japan. It was held on the 1st June in Tokyo. 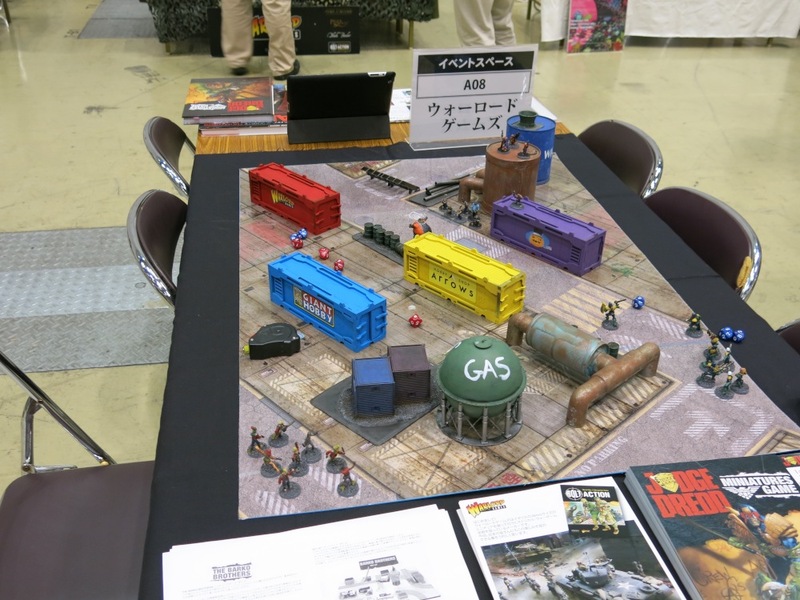 Our Japanese representative, Kazuhiro Ohno, and some friends went along to promote Judge Dredd and Bolt Action. 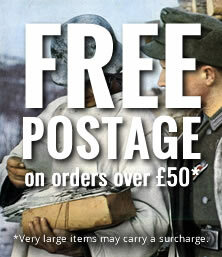 The demo tables and booth were very exciting and full of ‘pinned’ attendees, gripped by the games and products. 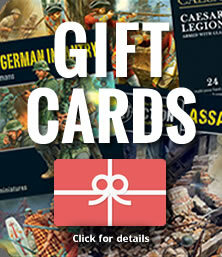 For almost all of them it was the first time they had heard of Warlord Games. 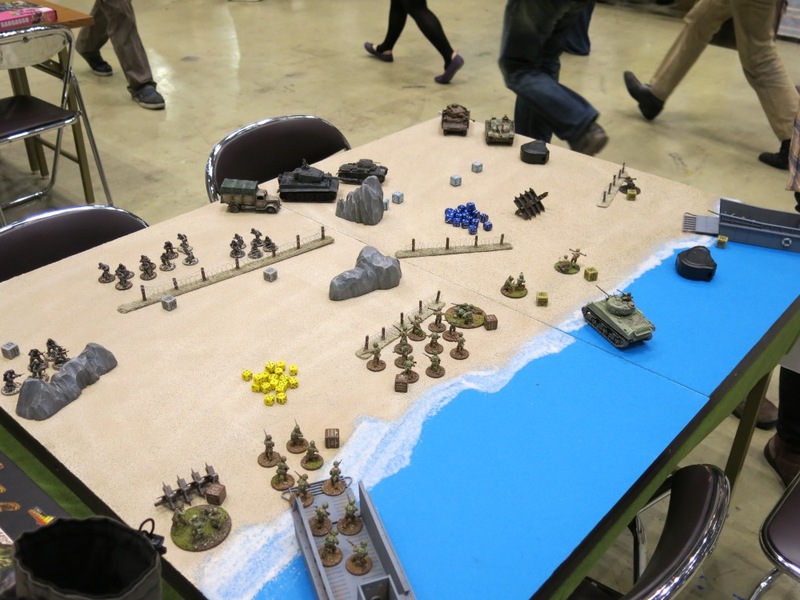 Kazu had prepared an Omaha Beach (Assault on Normandy) gaming table for the Bolt Action intro game and a dilapidated factory area game table for Judge Dredd. Over the course of the day hundreds of games were played on both tables – as you can see from the pictures the tables were rammed! Even though many people hadn’t read the Judge Dredd comics (because 2000AD comics is not translated in Japanese) they really enjoyed playing it! 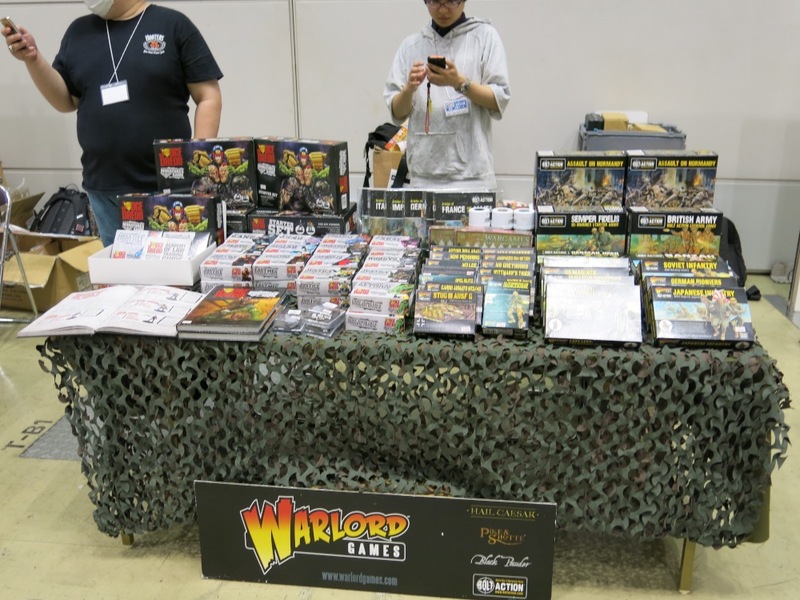 The day was an absolute success with lots of new Warlord recruits – great work by our Japanese Landing Party!